Preview the checklist before you decide to download it or try the short quiz to "check" on what your business is doing today. 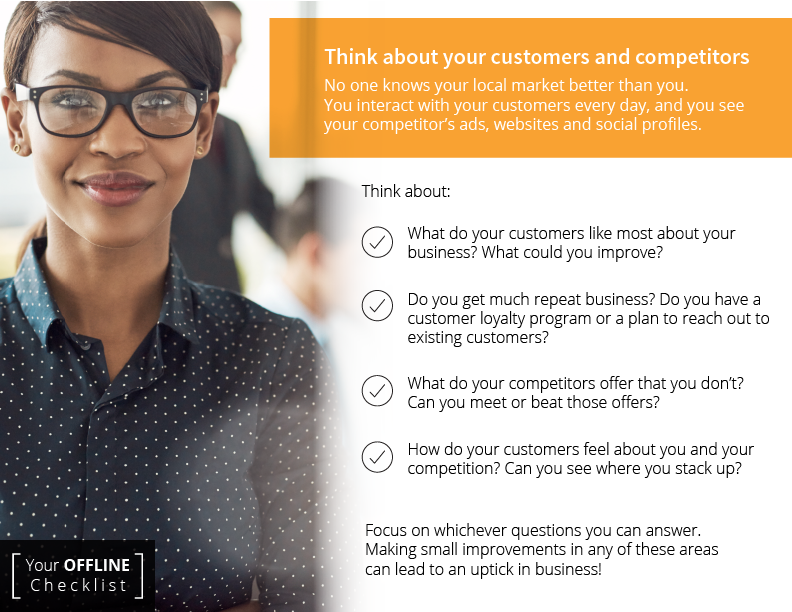 This Marketing Checklist is an actionable plan that works for you, your business and your schedule to succeed offline and online. 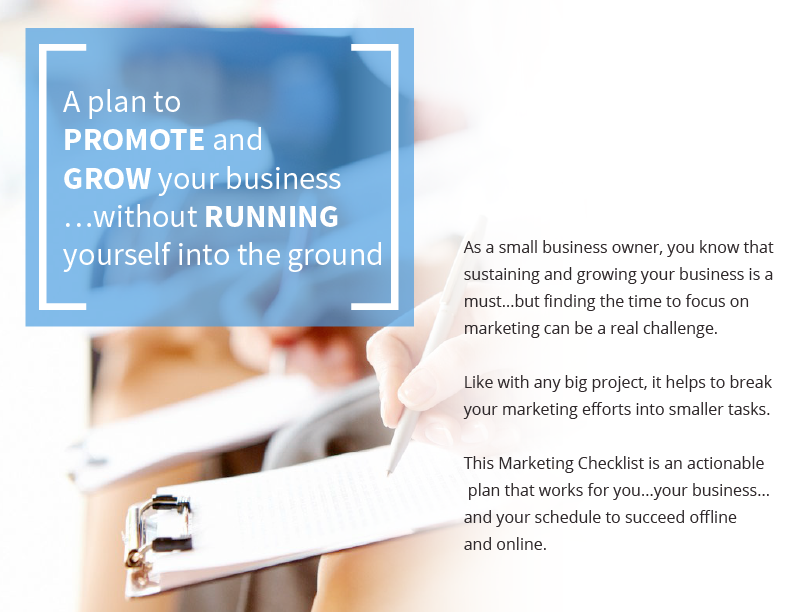 Check out the first few pages to gain access to your full copy of the Small Business Marketing Checklist today. 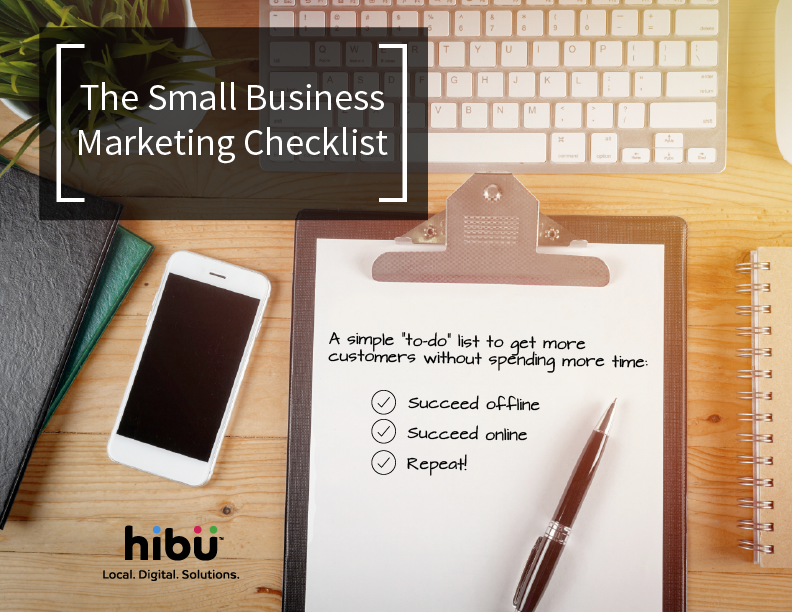 *By clicking “Get the Full Checklist” you provide your signature consenting to Hibu and its partners contacting you for marketing purposes via phone call and/or text message to the number you provided, including by use of automated dialing equipment. You understand that you are not required to give such consent as a condition of making a purchase of our products. Does your business participate in or sponsor local events? Is your business information correct everywhere online — even when your customers use Google, Siri or Alexa voice search? Is your URL (website address) on all your printed materials? Is your business website more than a year old? Do you use Facebook to promote your business today? Do you check your online reviews — and publish positive ones where customers can find them? Are you running ads on Google and the Web's top sites and apps (including Facebook)?